Here at I-AM, we eat our fair share of cake. Every birthday in the studio is an opportunity to bring out a slice of ‘Sainsbury’s Taste the Difference’, and we’re about to embark on our second annual Bake Off competition. 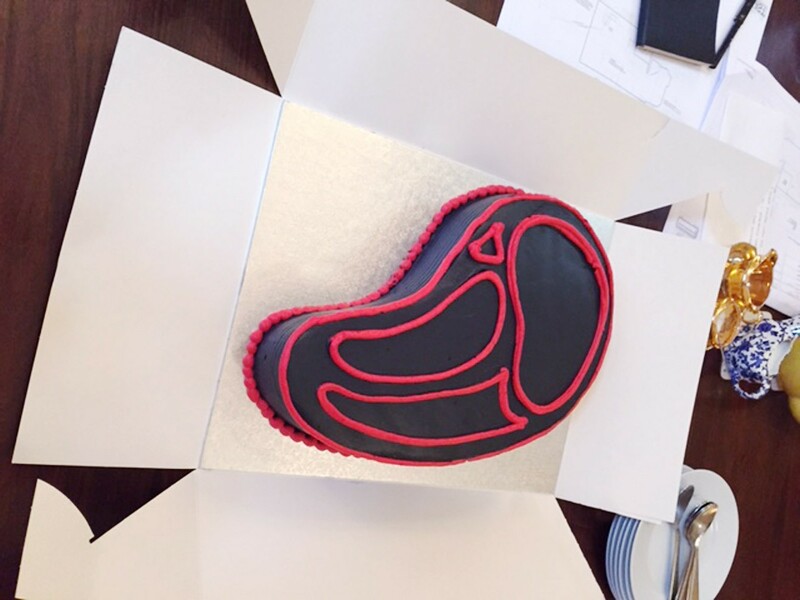 But the stakes were seriously raised this week when, hearing it was our Creative Director’s birthday, the team behind Steakout surprised us with this … that’s right, a steak cake. We’re pleased to verify that, meaty though it looked, the cake was a delicious sponge with fresh fruit filling. It also fed just about everyone in the studio! So following the success of Steakout and Shakeout, might a Cakeout be on the cards? Only time will tell. Thanks Kaysor and the team, the cake was great!